Carly Behm | The PHOENIX ChiTown Magpie and Third Coast Comics are two of the nearly 400 businesses in Rogers Park, according to the neighborhood’s Chamber of Commerce. Many shops’ sales heavily rely on Loyola students. While many Loyola students are looking forward to winter break, some local businesses in Rogers Park are preparing for a decrease in sales. There are about 400 small, locally owned businesses in Rogers Park, according to President of the Rogers Park Chamber of Commerce Bill Morton. Morton said businesses along North Sheridan Road, Devon Avenue and near the Loyola and Morse CTA Red Line stations are most affected by student customers leaving. “A lot of these businesses, especially in closer proximity and radius to Loyola University and the train stations, are very dependant on Loyola students,” Morton said. Local food businesses such as Los Portales Mexican Restaurant (1418 W. Morse Ave.) can suffer from student absences with less delivery orders, according to Morton. Some shops near Loyola also notice sale declines. Sara Blackstone owns ChiTown Magpie — which sells craft items from Chicago artists. She said the majority of the store’s profits come from Loyola students, faculty and staff. ChiTown Magpie has been in Rogers Park since March. Blackstone said when students leave for academic breaks such as spring break, Thanksgiving break or the upcoming winter break, her business can see a dramatic drop in sales. Blackstone said the business saw a decrease in business during summer break. 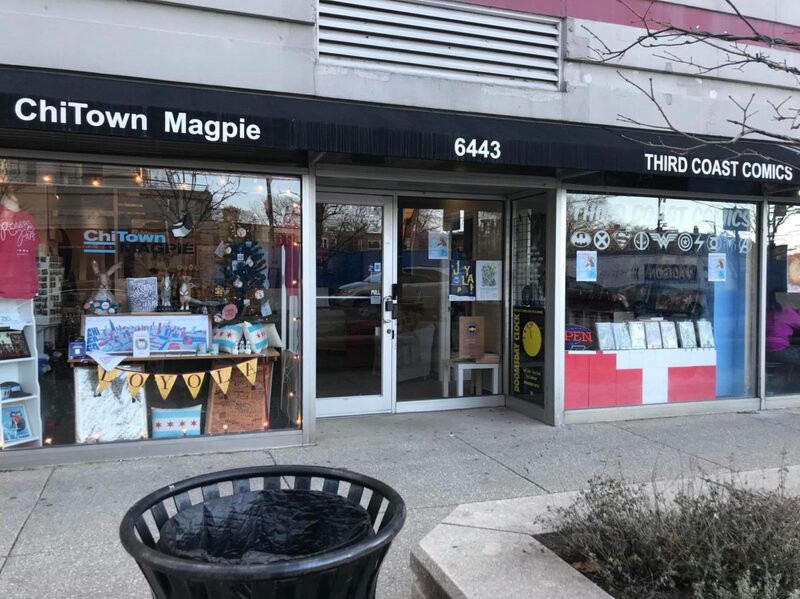 Next door to ChiTown Magpie is Third Coast Comics — selling comics and graphic novels — which moved from North Broadway Avenue in 2016. Owner Terry Gant said orders from regular customers keep business steady, but during school breaks sales drop by about 40 percent. To prepare for the lulls in business, Gant said he orders less inventory for months when students aren’t typically on campus. Neither Blackstone nor Gant wanted to share numbers on sales and profits because they weren’t comfortable making that information publicly available. Erik Archambeault owns the Rogers Park Social and Rogers Park Provisions on North Glenwood Avenue. Rogers Park Social is a bar, and Rogers Park Provisions sells crafts, food and drinks. Archambeault said students make up about 20-30 percent of customers. But he said he isn’t worried about sales decreasing during breaks because most of his customers are other people living in Rogers Park. Blackstone said residents keep ChiTown Magpie running when students are absent. Despite the flux in student customers during the year, Morton said businesses still survive through other revenue streams, and they know how to anticipate holiday and academic breaks. New developments impacted some local businesses in Rogers Park. The historic Woodruff Arcade was sold last December, and the businesses there including The Coffee Shop and the Mustard Seed Christian Bookstore vacated last month. The Concord at Sheridan development, which includes a Target, started construction earlier this semester. 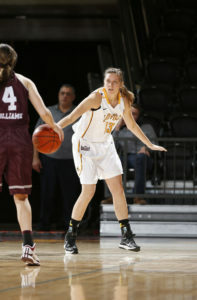 Morton said shopping at local businesses is important especially with the holidays approaching. When someone spends locally, the money might go to another local merchant, a local employee’s salary or toward rent in the neighborhood, according to Morton. Morton said for each dollar spent at a local business, 68 cents will go back to the neighborhood. For each dollar spent at a big retailer like Target, 48 cents goes back to the neighborhood. Loyola junior Victoria Kroll said she likes small businesses such as the Armadillo’s Pillow bookstore (6753 N. Sheridan Road). Kroll said she thinks students should be spending more money at small businesses because there’s a personal connection to the purchase. “When you’re paying money to get supplies or other things [at a local business], you’re paying directly to an ownership that you know from a community that’s all around you … rather than going to a Target with a big CEO and giving all your money to [them],” the 21-year-old environmental science major said. First-year theater major Jack Mayer said shopping local should be a priority because the businesses serve the community. 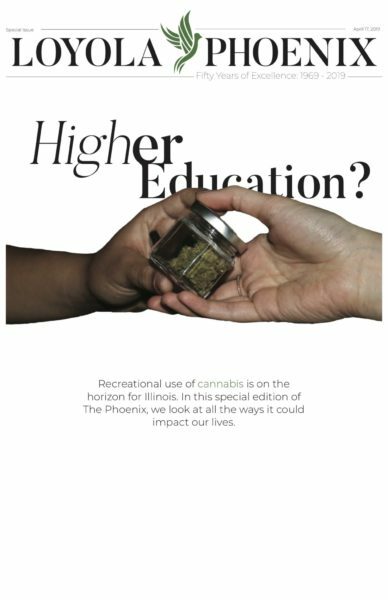 “A lot of local businesses do rely on student commerce, and it is important that we support the people who want to support us,” the 19-year-old said.